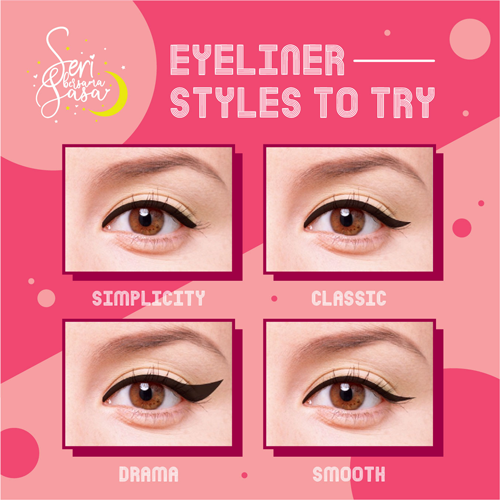 WHICH EYELINER SHAPE DID YOU PREFER FOR HARI RAYA? Which is your preference eyeliner for this Raya? Is it simplicity? Or Classic? Or maybe you like the smooth one? Or you are the person who likes people to notice your make up by doing the drama eyeliner? Spot your favourite eyeliner with Seri Bersama SaSa Malaysia.